The Zumba community came out in full force on Sunday to help raise funds for victims of the deadly apartment explosion in Silver Spring, Maryland. TAKOMA PARK, Md. 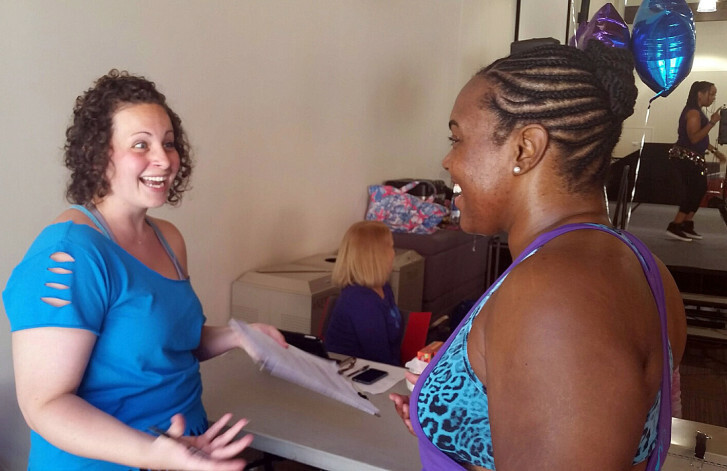 — On Sunday, the Zumba community in Takoma Park came together to help others by doing what they love to do — Zumba. They were dancing and sweating for hours, while raising money for victims of the deadly apartment explosion in Silver Spring. The two-hour Zumbathon was held at the Washington Adventist University student activity center Sunday afternoon. The goal was to raise money for the victims of the explosion at Flower Branch Apartments. It has been more than two weeks since the horrific gas explosion and fire killed seven people— including two children — and displaced about 100 residents. Zumba teacher Amanda Holliday, who organized the event, said the more she heard about the story on the news, the more she was moved to do something. That’s when she put out the call to the Zumba community. “We can just tell our friends about it, and they hear Zumba and they come running,” Holliday said. She said the money raised at the Zumbathon will go straight to the victims. Tracey Boss, who owns a dance and fitness business, said she uses dance to give back to the community. “I jumped on the opportunity to be here today,” she said. She said she knows what it’s like to lose everything. Holliday said those who missed the Zumbathon on Sunday can still make donations online.